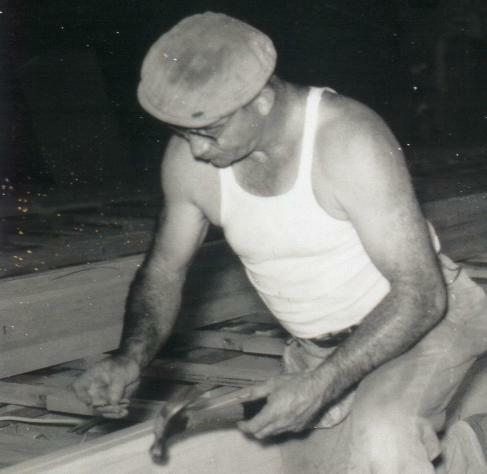 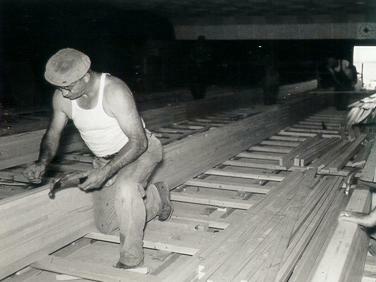 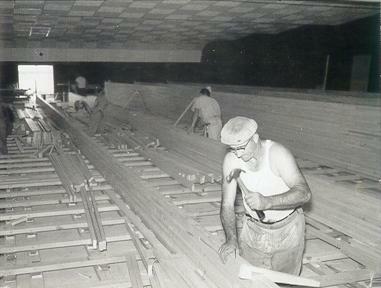 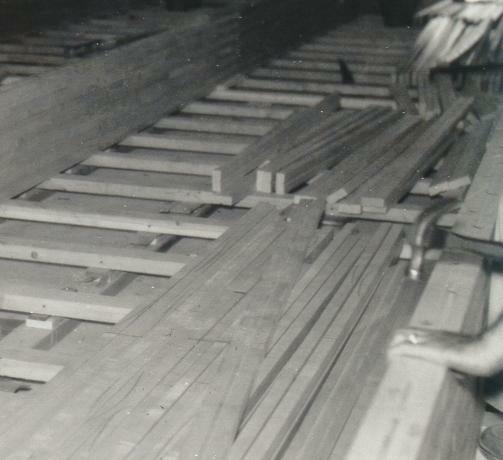 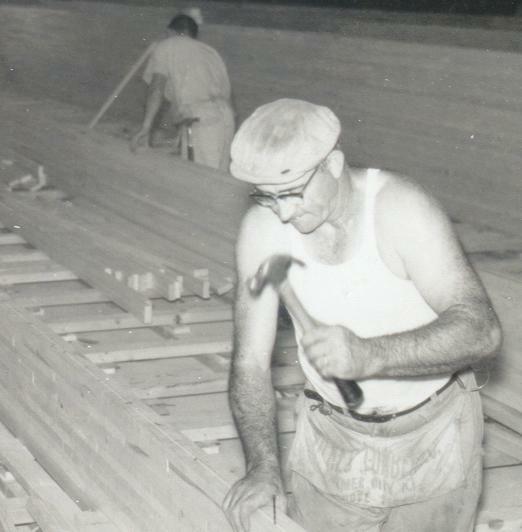 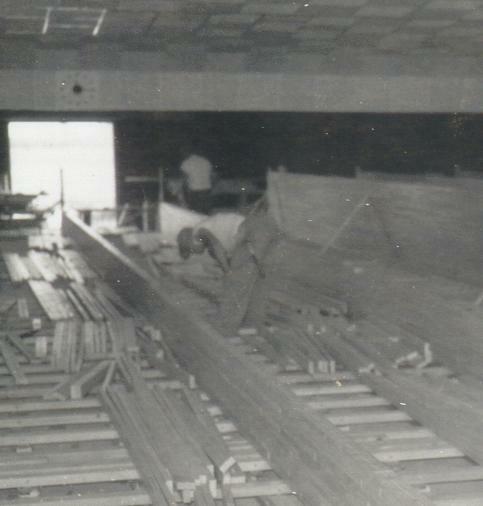 These photos show Bob Craig of Leroy in August of 1961.He is seen building the Lanes at Leroy Lanes Bowling Alley. . . . . . .